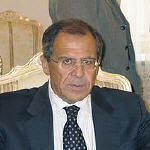 Russia favors strengthened relations with the Democratic Republic of Congo, said Russian Foreign Minister Sergei Lavrov Tuesday when meeting his Congolese counterpart Alexis Thambwe Mwamba. 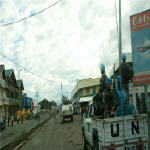 The UN force chief in the Democratic Republic of Congo has complained there is still no sign of 3,000 peacekeepers approved by the UN five months ago. Alan Doss told the BBC his force was overstretched and unable to respond effectively to outbreaks of violence. 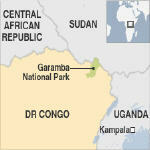 A new report says it would be a mistake to ban the mining of so-called conflict minerals in the eastern DRC. The report contradicts what many humanitarian agencies have been calling for. It says the mining provides a livelihood for many poor people. The study was conducted by Resource Consulting Services of London and funded by the British Department for International Development, the London School of Economics and others. 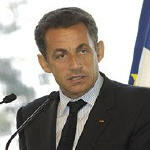 French President Nicolas Sarkozy said it is time for new momentum in cooperation between the Democratic Republic of Congo and its eastern neighbors to resolve years of conflict in the troubled Great Lakes region. The Democratic Republic of Congo's parliament speaker has quit after criticising the decision to let Rwandan troops enter the country in January. 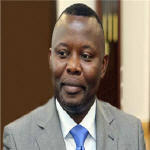 Vital Kamerhe had said the president should not have allowed them in for a joint operation against rebels. 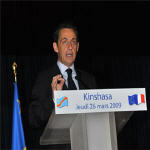 At the invitation of Congolese President Joseph Kabila, Sarkozy will arrive on March 26 to promote the already good ties between Kinshasa and Paris, especially their political, economic and diplomatic relations, said French Ambassador Pierre Jacquemot. The first batch of about 400 Ugandan soldiers withdrawing from the Democratic Republic of Congo(DRC) arrived at Entebbe airport on Sunday evening, marking the end of a three month joint military operation to hunt down Ugandan rebels. 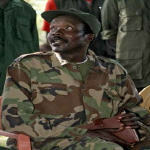 Uganda has begun withdrawing soldiers sent to the Democratic Republic of Congo in December to pursue Lord's Resistance Army rebels. They have been engaged in a joint operation alongside DR Congo government forces and south Sudanese forces to end brutal LRA attacks on civilians. 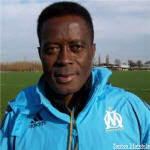 DR Congo coach Muntumbile Santos says that triumph at the African Nations Championship came as a result of sheer determination. The surprise 2-0 victory over Ghana in Sunday's final came just three weeks after Santos had threatened to quit the team, as he did not have a contract with the national federation. 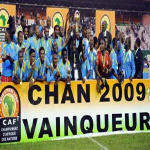 Democratic Republic of Congo shocked Ghana 2-0 to win the maiden African Nations Championship final. Dioko Kaluyituka put the Leopards ahead one minute into the second half at Felix Houphouet-Boigny Stadium in the Ivory Coast economic capital and Mbenza Bedi added a second on 76 minutes. It was the first triumph for DR Congo in an African Football Confederation (CAF) national team competition since defeating Zambia 2-0 in a replay of the 1974 Nations Cup final in Cairo.